Teaching is a rewarding profession—but it’s also one that can cause immeasurable stress. I’ve heard it from educators time and again. We’re overwhelmed, stressed, exhausted, and irritable. I’ll bet you know what he’s talking about. Have you ever felt overwhelmed? Exhausted? Fearful that you’re losing control? On the verge of insanity when it comes to your teaching job? If so, you’re certainly not alone. But I have a secret weapon against stress that I want to share with you. It’s called Rescue Remedy, and it’s a lifesaver! My homeopathy doctor told me about this little piece of magic several years ago. At the time I was really suffering from panic attacks, and Rescue Remedy helped me. But it’s for more than just panic attacks. It’s helpful for the everyday stresses that plague all of us. Here’s how my family uses it: If I start feeling overwhelmed, severely irritated, or sense a breakdown coming on, I put a few drops under my tongue, and it resets my emotional system. If my son turns his ankle or gets injured in a basketball game, we put some drops under his tongue, and it speeds up the healing process. My daughter used to have tremendous anxiety about going to the dentist, so we’d give her a few drops to help her stay calm. 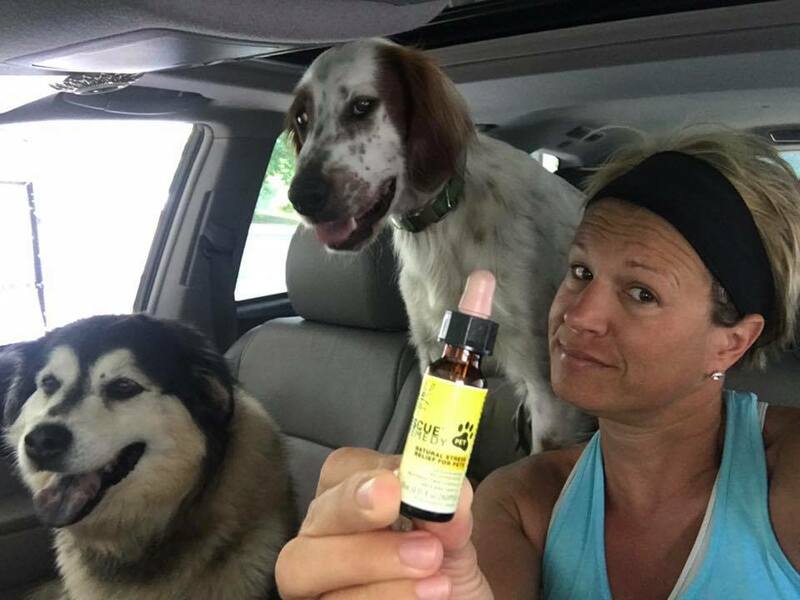 Rescue Remedy even makes a version for pets. On a recent visit to the groomer, our dogs’ prescribed anxiety medication, Amitriptyline, just wasn’t enough to calm them on its own. I gave them each a few drops of Rescue Remedy, and they were good to go! I know it may sound crazy, but Rescue Remedy is totally natural and totally AMAZING. OK, you might be laughing. But you won’t be when you try it! A couple of years back, I was running with my friend, Eric, and he turned his ankle. This had happened to him before, and he’d usually be forced to limp around for two weeks. When we returned home from our run, I gave him Rescue Remedy. He thought it was some kind of witchcraft, but he tried it anyway. And then he texted me 30 minutes later to tell me his ankle was almost completely better! And years ago, I had a principal who’d have me run down to her office with my Rescue Remedy if she had an angry parent coming in. It helped her remain calm and grounded during the conversation. Bottom line: Rescue Remedy is amazing, and every teacher and administrator should keep this secret potion in their desks! It helps you deal with stresses or emergency situations in a better frame of mind, and who the heck doesn’t need that? Rescue Remedy will change your life. You can thank me later.